Ho Wood Oil is emotionally uplifting without being overstimulating and has a sweet-fresh aroma. 100% Pure Ho Wood essential oil is very similar to Rosewood essential oil in its chemical makeup, but comes from a renewable resource. It can be used as a deodorant, soothing agent, skin conditioner, aphrodisiac, muscle relaxant and as an aide in caring for oily skin. It's also said to be effective as an insect repellent. Ho Wood essential oil is emotionally uplifting without being overstimulating. 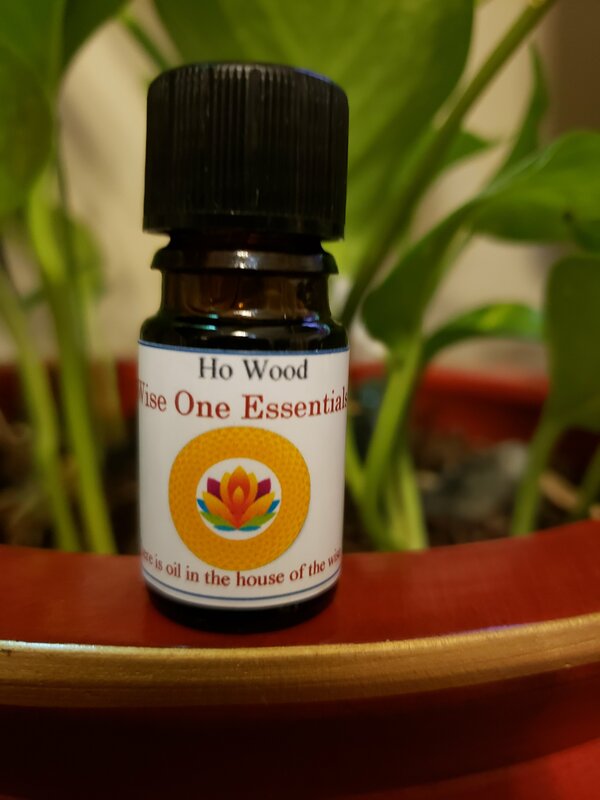 Because of its high concentration of linalool, Ho Wood is considered to be nourishing to the immune system, and helpful in fighting against infections. May be a skin irritant. Avoid during pregnancy. Blend these together and apply for a soothing massage. Disclaimer: The information provided here is for educational purposes only, and not intended to treat, prescribe, cure, or diagnose any disease or condition. This information is not intended as a substitute for consulting with your physician or other health care provider. Yoga Stuff & More, llc (Wise One Essentials) is not responsible for any adverse effects or consequences resulting from the use of any of the suggestions, preparations, or procedures discussed. All matters pertaining to your physical health should be supervised by a health care professional. Keep all aromatherapy products out of reach of children.